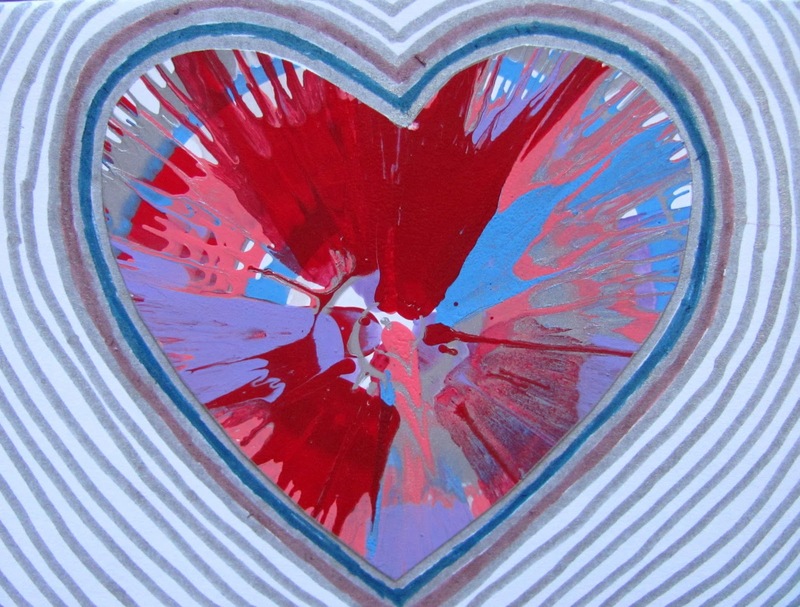 The Chocolate Muffin Tree: POP ARTish Spin Art Heart Valentine Cards!! Finally finished some of my Spin Art Heart Valentine cards!! First, I traced a heart on the back of all the spin art creations and cut them out. Then, I glued them on the front of a white card stock card. Lastly, I decorated around the hearts with Prang Metallic Markers . I think they look very POP ARTish! I will be sending these out to family. Every year I create a different valentine card that is like no other! I always have a lot of fun! How cool, Melissa! Very pop art, indeed. Thanks for shaing this on my blog!